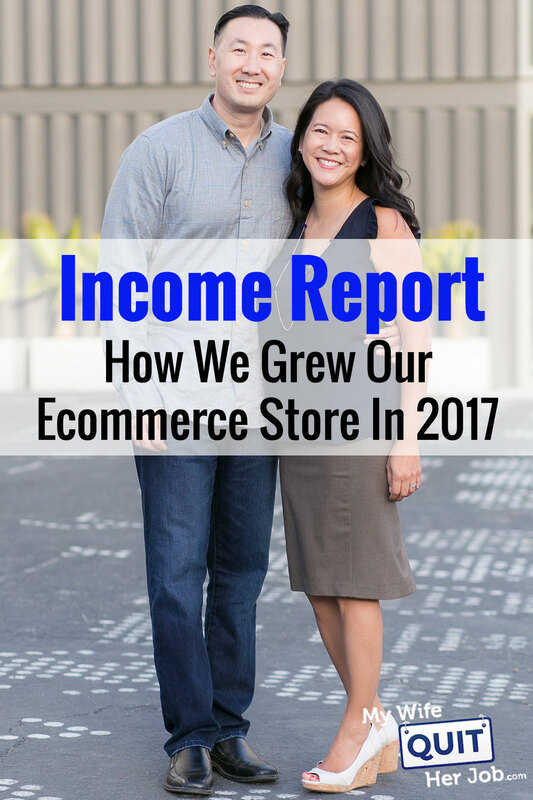 My wife just closed the books on 2017 and I’m happy to report that our online store had another record year. That being said, it’s also been a hectic year filled with lots of traveling, injuries and family activities. If you’ve been following my recent posts and podcasts, you are probably aware that I’ve been thinking a lot lately about how to increase happiness, manage stress and balance my business and family life. In case you are interested, here are some of my recent posts on the topic. Anyway after being sidelined with a major injury in 2017, I came to the conclusion that making more money for the sake of making more money is a silly objective because it doesn’t necessarily lead to more happiness. So my goal with my businesses as of late has been to achieve steady, manageable growth from year to year. Instead of trying to grow exponentially by introducing more and more products, I’ve decided to spend more of my efforts on marketing, improving our processes and selling more to our existing customers. After all, launching new products is a brute force way of making more money and I always end up gaining more practical knowledge whenever I learn a new marketing technique or sales strategy. For example because I do all of my own Facebook ads, Google Ads, email marketing, conversion optimization etc…, I feel confident that I can scale our business up or down as I see fit and control our rate of growth to reduce stress and anxiety. In any case, enough small talk, let’s skip to the numbers! If you look back to our mid year income report, our revenues were up 28% at the end of June but dropped to just 20% for the year. The reason for this drop is because I put in a lot of work on conversion optimization during the second half of 2016 which made the first half of 2017 noticeably better than the first half of 2016. Here’s a list of optimizations from last year if you want to catch up. Another thing you’ll notice about the numbers above is that our traffic only increased by 10.5% but our non-Amazon revenue increased by 18%. The main reason for this discrepancy is because we obtained new B2B customers in 2017 that increased our average revenue per visitor. Now what’s interesting about some of these new business customers is that they found us on Amazon, looked us up on the web and decided to purchase from us directly. The other important thing to note about the numbers above is that our profit growth was 6% lower than our revenue growth. In the past year, our fixed costs have increased. Towards the end of 2016, we moved into a larger facility which was significantly more expensive. In addition, I’ve been spending money on several new experimental marketing campaigns which haven’t achieved profitability yet. Most of the lowlights for the year were already covered in my mid year income report except for our SSL debacle which I’ll describe below. On October 1, 2017, Google decided to make all websites use SSL on all pages which forced me to update my shop. Now the actual switch over to SSL was pretty straightforward and it only took me a day to complete but what happened next made me panic. As soon as I migrated my site, my search traffic dropped significantly and my overall traffic went down by 15%. Even though I did everything correctly, our sales tanked and as a result our July numbers were a total dud. Thankfully, our traffic recovered a month later and we were back to normal. But the month of July was particularly stressful. During the second half of 2017, we launched 2 influencer campaigns. One campaign was with a You Tuber in the cooking space to promote our napkins and the other was with a family blogger who helped pitch our aprons. The YouTube influencer we worked with happened to be launching a subscription box service so she asked to buy our napkins at cost. In return, she put out a series of videos and linked to our products. We ended up breaking even on the napkins we sold to her but generated a decent amount of sales over the holiday season as a result of her videos. Note: It was difficult to track the attribution for this influencer campaign because many customers did not use the provided coupon code. But the product she promoted had a higher rate of sales as soon as the video went live. Overall, the campaign was profitable but it was definitely not a home run. The second campaign we ran was with a popular family blogger who posted one of our apron promo videos on her Facebook fan page of over 700K fans. In addition, she did a Facebook live video wearing our personalized aprons while doing a craft project with her child. This campaign performed quite well for 2-3 days after the posts went live but died off quickly. We ended up moving 4 figures worth of product during those days so it was definitely profitable but once again, not a home run. In any case, I plan on dedicating a full blog post to describe these campaigns later this year so stay tuned. Note: For the second campaign, we had the blogger use our affiliate program so all sales were accurately tracked. Some of the biggest improvements for our store in the latter half of 2017 occurred when I started cold calling our abandoned cart customers. For every single customer who started checkout but didn’t buy, I picked up the phone, called them up and asked them why they didn’t complete their purchase. Normally, I don’t enjoy doing this but my analytics was telling me that I was getting an abnormally high abandonment rate for customers trying to purchase our personalized aprons. So instead of making guesses as to why, I figured that it would be faster just to ask directly. Even though several customers hung up on me and one particularly irate customer yelled at me, the majority of customers were willing to chat with me in return for a discount. In fact, I managed to close the sale for almost every customer I spoke to on the phone. In any case, here’s what I learned from (s)talking to our customers. A number of the customers I talked to were frustrated because they would go through the checkout process and not remember the coupon code or type it in incorrectly. As a result, I implemented a shopping cart feature to automatically apply coupon codes based on a cookie. Amazon has trained people to expect free shipping with their purchase. Most of our wedding customers are price insensitive so it never used to matter whether we charged shipping or not. But our apron customers clearly saw shipping costs as a huge negative. As a result, we lowered our free shipping threshold and introduced 2 new shipping tiers to make up for the lost money. 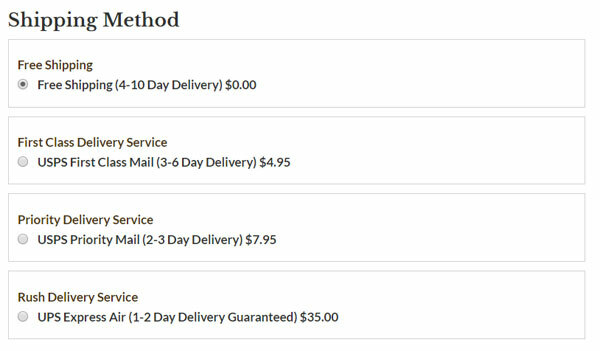 For our free shipping tier, we made the fulfillment time significantly longer(on the order of 4-10 days) and then introduced 2 new paid options for faster delivery times. The surprising upshot was that a bunch of customers over the holidays chose to pay for expedited shipping even though they qualified for the free shipping tier because they wanted their order faster! Most of the customers I talked to simply didn’t want to place their order on their smartphone and waited to buy later on their laptop or tablet. But when I asked these customers whether they ever buy on their phones, they all said yes! Here’s the kicker. Most of them didn’t have Paypal and were used to shopping on Amazon because all of their information is already stored on the platform. As a result, I’m now considering implementing Amazon payments on the site. In the meantime, I did the next best thing and added the Google Maps API on our site which automatically fills in a customer’s address as they are typing. Many of the abandoned customers balked on their order when they discovered the high cost of monogramming. To put things into perspective, some of our aprons are $15 and we were charging a flat rate of $8 for personalization. Because the cost of personalization was a such a large percentage of the product cost, many customers were shocked at the price. As a result, we raised the price of our aprons slightly and reduced our monogramming prices. One lady I spoke to on the phone specifically told me that she probably would have gone through with her purchase but she felt gouged by the monogramming up charge. 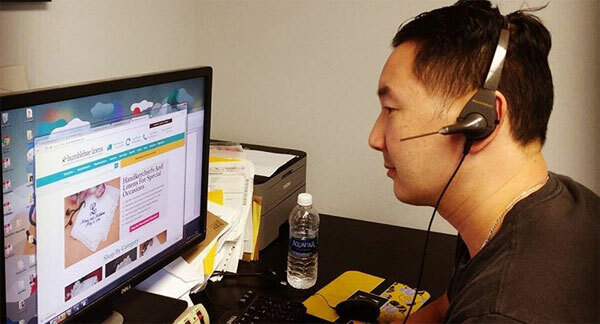 A few months before my injury, I was hanging out at Bumblebee Linens headquarters when I noticed that one of our employees was spending 2-4 hours per day manually transferring data from our website to a PC application that runs our embroidery machines. She was literally going down line by line for every personalized order and cutting and pasting text from one app to the other. What a waste of time! So I did some research and discovered a Windows PC automation application called WinTask. Long story short(I’m going to write a longer post later about this), I coded up a script that allows our website to talk to our Windows PC and automate this task. Just like that 4 hours per day of work was saved! 2017 was also the first year that we used push notifications to market our store and the results were pretty good! The only problem was that we didn’t have enough time to gather enough subscribers for it to make a huge dent on our sales. But we were seeing double digit conversion rates on some of our campaigns. I’m going to write a comprehensive post on this in the future but our push notification service, Vizury, has knowledge of our entire product catalog and sales. As a result, you can run some interesting dynamic notifications with your subscribers. For example, if a customer looks at a product but doesn’t buy, you can send him/her a notification 4 hours later to remind them to complete their purchase with a picture of the exact product in their cart. This service will only get more powerful going forward as we gather more subscribers. Overall, it was an excellent 2017! If I wasn’t bedridden for 2-3 months during the latter half of the year, we’d probably be in better shape. But I’m extremely pleased with our growth. Most importantly, my wife and I didn’t have to burn the midnight oil for most of the year and spent the majority of our time together as a family. For 2018, I plan on diving into Facebook messenger marketing and focusing my efforts on cutting costs and making our business processes more efficient. Because we found several new vendors at the Canton Fair in 2017, we may introduce a few new products as well but nothing crazy. Here’s to a profitable 2018! In this 6 day mini course, I reveal the steps that my wife and I took to earn 100 thousand dollars in the span of just a year. Best of all, it's free and you'll receive weekly ecommerce tips and strategies! Great year end post, Steve. Just reading back through some of the older posts from the year and I particularly liked your optimization about the email testing. I’ll be implementing that myself for sure. Had no idea it had such an impact. Also, I’m curious, what kind of subscribe rate are you getting to the browser push notifications? On their site, they say expect around 60-70% but that seems quite high. Is it realistic? Another wonderful recap from the amazing Steve! I’m sorry to hear you weren’t well in the fall. I hope you’re feeling better now. Used FB messenger bots recently for a launch and loved the engagement, people also personally messaged me saying they enjoyed the experience. Now to apply it to a product that will convert really well. I was wondering what email signup/popup you were using before going with the “wheel of fortune”? The signup rate increase was very good for sure, but what system and how were they collected before switching? Great way to sum up the year, low and highlights included. It’s great that you actually can remember or take good notes throughout the year to be able to provide an indepth summary. Is this something you do monthly? Quarterly? Not being sold according to come. Can you suggest me For more sell And How I develop My site?